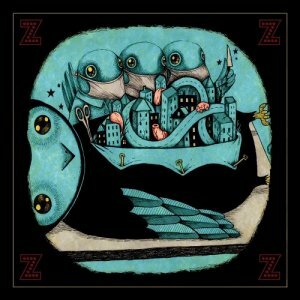 My Morning Jacket – Z | NoCoda. It’s a death sentence. It’s the definition of taking something out of context. Heaven help me. Strike me with a zig-zag lightning bolt for saying this (Z – get it? ha. ), but there are many that worship at the throne of Jim James. I am not one of those, nor am I a die-hard My Morning Jacket fan. I certainly am, however, a pretty big fan. I buy their new releases the day they come out, and would certainly see them in a heartbeat live, as long as the tickets aren’t astronomically priced. They’re one of the few bands out that I think really earns the distinction of demanding some serious respect, regardless or not if you like what they’re doing musically. Z was their mainstream breakthrough and turning point. They had slowly been waning off the alternative country vibes in favor of a much more psychedelic, southern, and experimental flavor. They were almost there with 2003’s It Still Moves, but Z took it all the way – no holds barred. Kicking off with Wordless Chorus, we found a chilled out intro, keyboards, and a slow crescendo that builds into a finale that is worthy of U2-sized stadiums with zero room for controversy. Songs like that stand on their own – they aren’t part of My Morning Jacket anymore – they’re injected into the atmosphere and intermixed with us humans that walk around on the surface of the earth with no way to separate ourselves from it. How could there have ever even been a band called My Morning Jacket who had not yet written a song called Wordless Chorus? You know what? I’m not even including that in my final two track recommendations. It stands on its own anyways, and whether you choose to seek it out or not (though I am sure you already know it) – it’s already part of your makeup now that you’ve read this far. It Beats 4 U seamlessly mixes together an aquatic backdrop, the vast emptiness of a desert sky while a few stars shine above, and two lover’s hearts that keep time in syncopation. The emotion is effortless, and psych lines like Who could see and not believe? / The heart that beats the wavelength / And who could say but never do / Things they’ve said to someone who / Through all that’s been and all will be / So in line so thoughtfully only add to the mystery and the depth. We could go on and on. Do you feel like you’re floating though space yet? Are you rocking out yet? How is that haze treating you? Do you even know what you may/may not have just smoked? Don’t forget to include a pop-song-meets-Dragnet number and release it as your single – and have it work! This record was widely adored by so many, and it set the expectations so high for a follow up that, all in all, it was kind of nutty. Wouldn’t you know that three years later in 2008, they would come to release Evil Urges, and blow everyone out of the water. That’s their pinnacle record – this was simply the unexpected lead up, though without this one, the follow up would have never existed. You couldn’t have one without the other. A fan of music, just in general? This record right here…is essential.